The customer determined each fan blade should contain four individual bends. 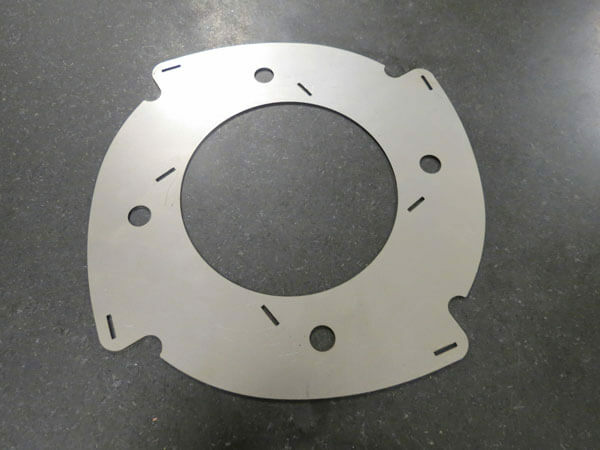 This design enabled the fan to better draw in air during operation and utilized standard tooling on the press brake versus more costly customized tooling. 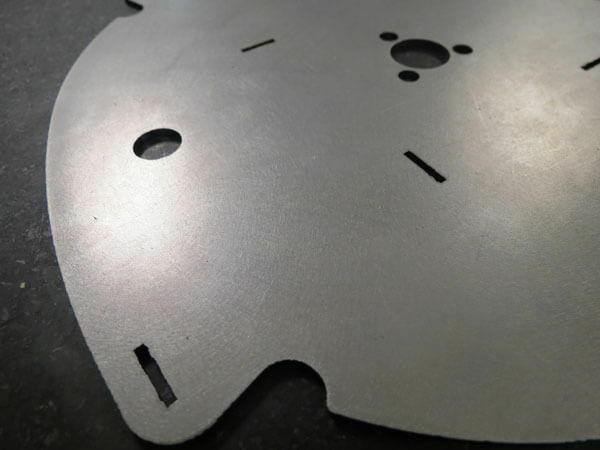 Performing multiple bends was made easier by our experienced press brake operators understanding how to correct the overbends and underbends that naturally occur in materials. Another challenge we addressed in the press brake was the exact placement of four tabs on each blade for correct alignment with the slots on the fan’s disks. 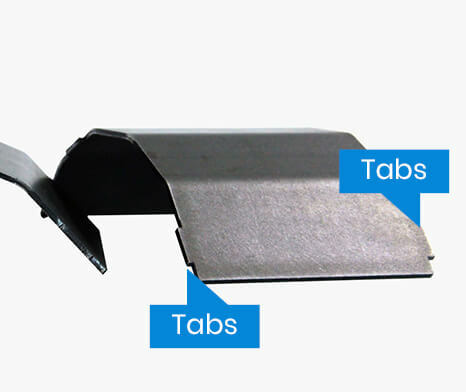 Effectively managing the angle of the tabs along with material variation was driven by the hands-on experiences and technical expertise of our employees. 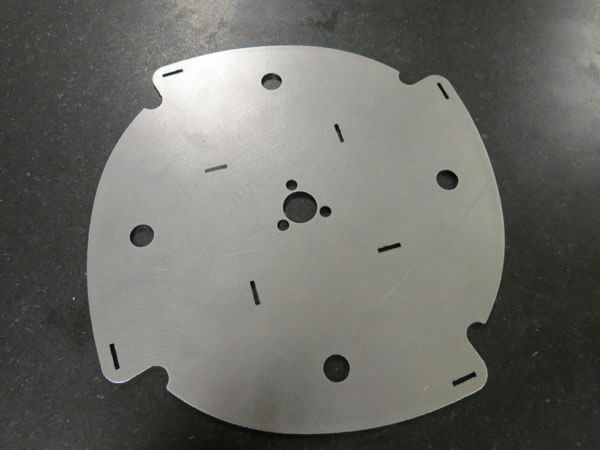 The most critical feature in laser cutting the disks was the slots. 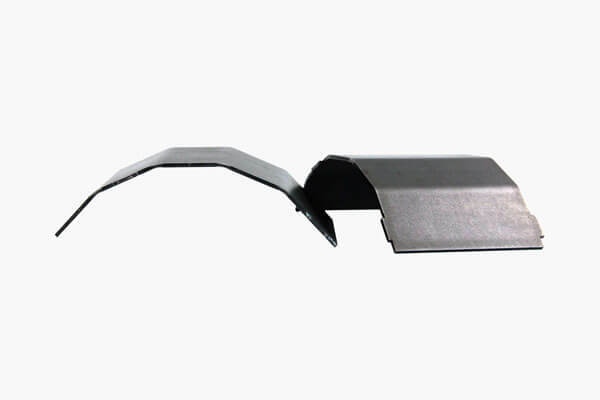 Their placement needed to be exact along with a tight tolerance to ensure correct alignment with the blade’s tabs. Our quality system establishes the programming of the laser is correct with a set-up check; and then in-process checks inspect the cutting throughout the project. This process makes corrective action easier to identify and put into action when needed. In fact, before each run on the laser a thorough check of the equipment is completed including an examination of the lens quality. 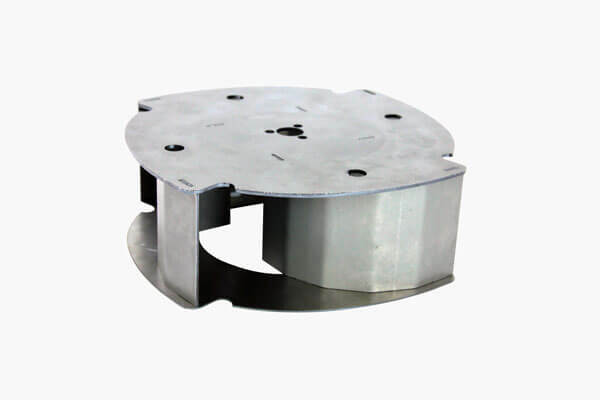 We successfully identified and produced the customized and standard features on the disks and blades. Minimizing and eliminating variation throughout this project ensured the customer’s fan will function as designed within their equipment.